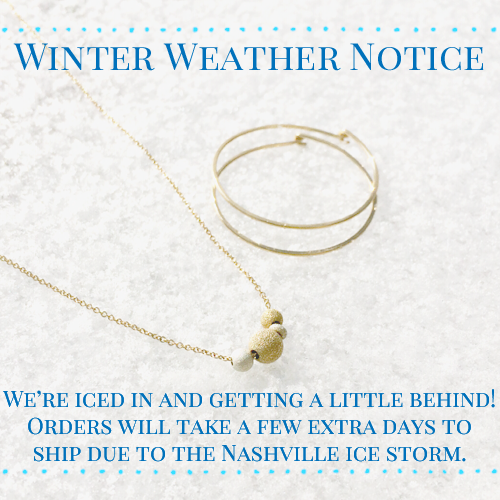 Nashville has had one of its trademark ice storms! We've been out of the studio for the past two days and are getting behind in our production schedule. While I'm house-bound, I am going to try and upload new product to our website, starting with that pretty shimmer necklace in the photo above!